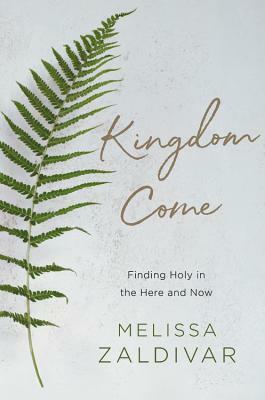 Kingdom Come encourages readers who are disillusioned by life that God is present and meaning exists in all they do. The divine Presence and the Kingdom of God is here and now. Have you ever looked at your life and wondered, "Is this it?" After a childhood of being promised the future is bright, it's difficult to see meaning and purpose as you trudge through your everyday adulthood obligations. Expectations are unmet, hope fades, and disappointment in relationships and careers leaves you longing for better while living broken. But some things are temporary and others eternal, and you must learn to tell the difference. The Kingdom and Presence of God are still present, right here and right now. And experiencing them changes everything. Glimpses of God's divine Kingdom can be found in your workplace, classroom, and around the dinner table with friends. His nearness can be felt in celebratory moments and in empty apartments and when the phone rings with devastating news. Even when the world around you appears to be falling apart, God and His Kingdom remain steadfast. As you experience the inevitable pain of finding your way, this book will help you realize you aren't alone and encourage you through the narrative of Scripture. Many have gone before us and shown us the way. God's Kingdom has come (and is still coming) and His presence is real. Eternal things can be seen if we learn to look through the lens of His unchanging Truth. Melissa Zaldivar holds a Master's Degree in Theology from Gordon-Conwell Theological Seminary. As a freelance writer, she has told the story of Jesus in contexts from Bible studies to articles with a voice that is young and honest. Walking through intense experiences throughout her life, she has learned that God is constantly present, even during the darkest of seasons and hopes to share that hope with her readers. She's the founder of Camping Out, a blog that wrestles with the intersection of theology and the ordinary. She lives in Nashville, Tennessee.